How much money is Larry David worth? Larry David is an outstanding American actor, comedian, writer and producer known for his work on the television series Seinfeld and Curb Your Enthusiasm. 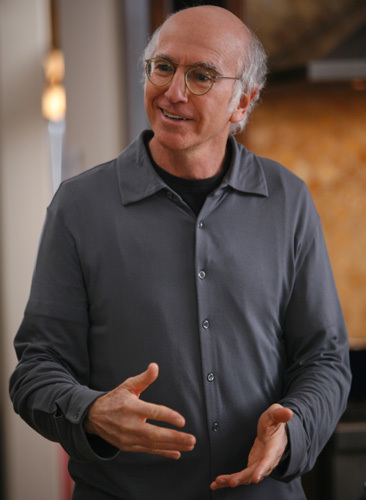 Earning Information: Not only is Larry David the star of the hit television series Curb Your Enthusiasm, he is also the co-creator and executive producer, a title he also held on the classic sitcom Seinfeld. And he really hit the jackpot when Seinfeld was sold into syndication to Columbia Tristar, a deal that earned him a reported $650 million. Personal Information: Born in Brooklyn, New York on July 2, 1947, his full name is Lawrence Eugene David. 3 Response to " Larry David Net Worth "
How is Jerry Seinfeld worth a purportedly 700 mill when David is "only" 300mill. Is anyone taking into consideration Curb your entusiasm which is now in syndication? It says 800 mil you dolt.